Mechanical briquetting presses, thanks to the high pressure generated in the compression chamber (about 2000-2500 kg/cm²), produce a high-quality briquette, and they are designed and manufactured to be reliable and long-lasting. The superior ratio between hourly output per kWh ,and the low operating costs of the mechanical briquetting machines are particularly advantageous compared with other technologies available on the market. 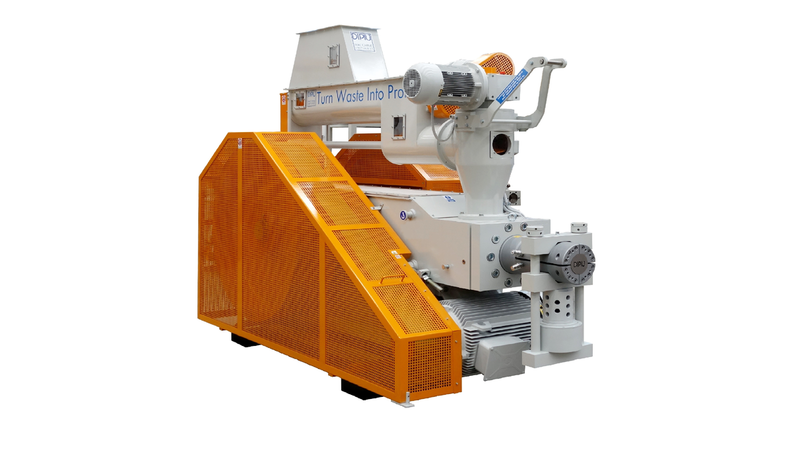 The hydraulic briquetting presses of the SLUDGEBRIK series have been developed by combining all the experience acquired by Di Più Systems in more than 35 years of activity in the industry. Intensive R&D by a team of experts have led to the design and - production of a hydraulic briquetting machine with superior performance levels, capable of recovering almost all the coolant (oil or emulsion) contained in the sludge and inevitably drawn from machining operations such as grinding. In addition to this, the resulting briquettes or pucks are made of metal, with only traces of the coolant left in it, and are solid. The pucks can be handled, easily transported, and ready for recycling in a smelter. The recovered coolant and metal turn an inconvenient sludge into profits. The METALBRIK series of hydraulic briquetting presses are industrial machines designed to operate in automatic mode. Developed to compact and to make maximum use of metal scraps such as cast iron, aluminium, copper, steel, brass, zinc, bronze, titanium and magnesium, they are also suitable for treating a variety of other machining scraps.